Cigna Medicare Supplement plans are available under the subsidiary companies owned and operated by Cigna, depending on the state. These companies include Cigna Health and Life Insurance Company, Loyal American, and American Retirement Life Insurance Company. Cigna is one of the most recognized names in the insurance market. They have maintained an “A” rating with AM Best for many years. Neither Cigna or its affiliates nor its Medicare supplement insurance policies are connected with or endorsed by the U.S. government or the federal Medicare program. Why Choose a Medigap Plan From Cigna? One of the biggest benefits of having a Medicare supplement, or Medigap, plan with any company is freedom of choice and freedom of access. There are no network limitations on Medigap plans. You can go to any provider anywhere in the United States as long as they accept original Medicare. If they do accept Medicare, they will automatically accept your Cigna Medicare supplement plan, no questions asked. Cigna participates in the Medicare crossover billing system. So when your provider sends the claim to Medicare, Medicare pays their portion and automatically files the remainder to the insurance company. This seamless billing system means you will not see a claim form or have a problem with a claim unless it is sent incorrectly by your provider. And in the rare case that happens, you don’t have to call the insurance company and hold forever to talk to a representative. One of the benefits of using an independent agent is that you call us and we will take care of the issue on your behalf. That is what an independent agency like Integrity Senior Solutions Inc does – we work for you, not the insurance companies. Cigna Medicare Supplement Plan F covers all of the deductibles and co-pays of Medicare. Many have referred to Plan F as the “Cadillac Plan” over the years. Plan F is the same from company to company because all Medigap plans are standardized by the government. A Cigna Medicare supplement Plan F is like every other Medigap lettered plan in that you can go to any doctor, any specialist (without a referral! ), or any hospital anywhere in the country that accepts Medicare. This is in stark contrast to Medicare Advantage plans that restrict you to their networks. There are changes coming to all Plan F supplements beginning in 2020. New Medicare beneficiaries will not be able to enroll in Plan F starting January 1, 2020. If you have a Plan F when 2020 rolls around, you will be allowed to keep it. But there are some factors that you might consider as to whether that will be the best decision moving forward. We cover the details of the changes coming and how they could potentially affect Plan F rates in the article at this link. Cigna Medicare Supplement Plan G has identical coverage to every other company that sells Plan G by law. Plan G has been a better value than Plan F for several years now. If you will pay the Part B deductible each year (it is $185 in 2019), you could potentially save $300-450 per year on premium or more in some cases. We at Integrity Senior Solutions have been educating our clients for years now about the upcoming changes to Plan F. This is another reason for choosing an independent agency to work for you. We know the market and we can help avoid a lot of pitfalls that you may have no idea about. We live and breathe in the Medicare market every day. Plan N may be the best option for you if you are willing to cover some small out-of-pocket expenses in exchange for a lower monthly premium. Like the Plan G, The Plan N does not cover the annual Part B deductible (which is $185 in 2019). Also, you will also be responsible for a doctors visit co-pay of up to $20 per visit. There is a $50 co-pay for emergency room visits. If you are admitted to the hospital as a result of your emergency room visit, that deductible is waived. Plan N also does not cover Excess Charges. However, your provider cannot charge you more than 15% above what Medicare approves for any procedure or visit. That 15% they are allowed to charge is called an Excess Charge. We cover Excess Charges in depth at the article at this link. There are a lot of negative reviews online about Cigna However, almost 100% of those are complaints about Cigna Medicare ADVANTAGE plans, not their Medigap plans. Problems with billing, problems with in-network or out of network, problems with being denied treatments – these are all things we hear of people having to deal with in the Medicare Advantage area. It leads to many people venting their frustrations with those plans in online reviews. 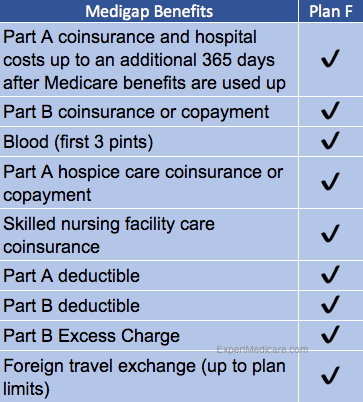 As I mentioned above, the Medicare supplement plans have a seamless billing system with Medicare. And if Medicare approves the procedure, your Cigna Medicare supplement plan WILL pay their portion. They have no option. So the next time you see one of those negative reviews, read a little closer. It is almost assuredly an issue with the Medicare Advantage side. Cigna companies have maintained their “A” rating for many years now. Their financial stability and outstanding claims and customer service departments make them one of the strongest companies we can recommend. They definitely get two thumbs up from us. For assistance, call us at 1-888-228-6119 toll free or use the form to the right. Be sure to check out our YouTube channel for helpful, educational Medicare information (LINK). Keith Murray is an independent agent and the founder of Integrity Senior Solutions Inc. He has over 23 years of experience working with Seniors to meet their insurance and financial needs.